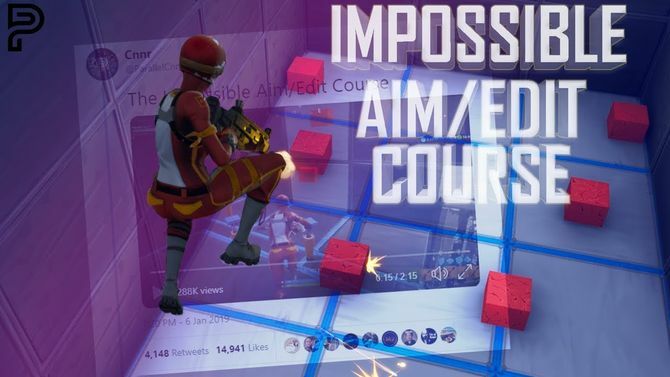 Professional player Cnnr, representing Team Parallel at Fortnite, created an obstacle course in the “Battle of the King”, which he himself calls “impassable”. Fans of the game praised the test, after which the developers of Epic Games gave Cnnr the opportunity to make this map publicly available. Cnnr posted a video with the perfect obstacle course on Twitter on January 7th. During the day, the record has collected more than 1.6 million views and 59 thousand likes. The player explained that he had never managed to complete this course without errors, so the video is a montage of his most successful attempts. Shortly after the publication of the passage, Cnnr gained access to the Support-a-creator system, which Epic Games introduced in October 2018. It was created so that players can support content creators for Fortnite. Cnnr said that he had not yet managed to add a map to the game, but he is working on solving the problem. When the error is corrected, everyone who wants can add an obstacle course using a special code.